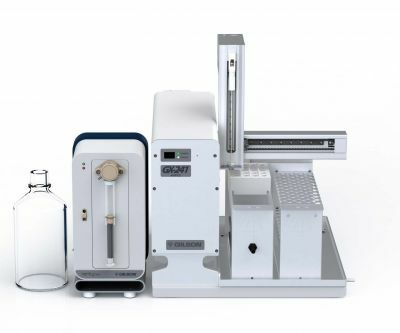 Whether your application is pharmaceutical, clinical, forensic, or environmental, SPE has become the technique of choice for sample cleanup, sample prep, and trace analyte enrichment due to its inherent versatility, selectivity, speed and low solvent usage. 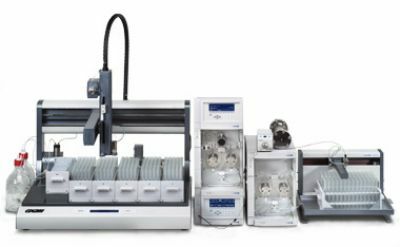 Designed with today’s laboratory in mind, the GX-271 ASPEC™ has large cartridge capacity while minimizing its linear bench space footprint. System pressure is constantly monitored by a pressure sensing module to provide error handling for over pressurization as well as to monitor real-time cartridge pressures. Carryover and cross-contamination concerns are minimized with the use of Gilson’s revolutionary jet wash rinse stations. 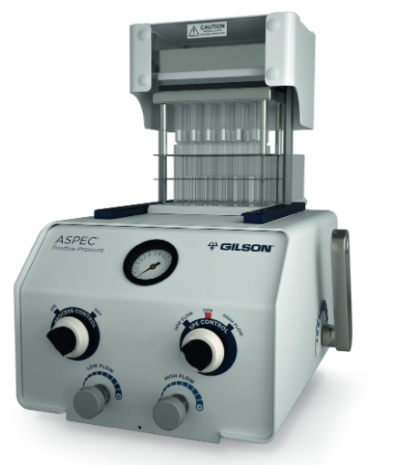 The GX-271 ASPEC combines the throughput and reliability to run unattended making this instrument an ideal choice for SPE, sample prep, sample clean up and GPC / SPE applications. 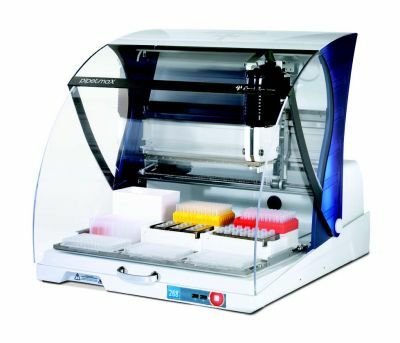 Accommodates 1, 3 and 6 mL SPE cartridges. 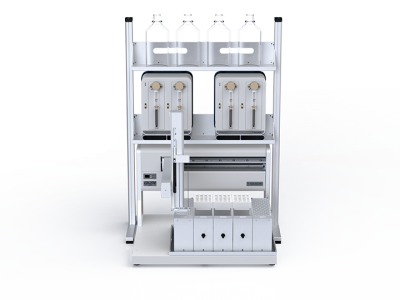 Mobile Rack technology enables use as an SPE instrument as well as a Liquid Handling instrument. 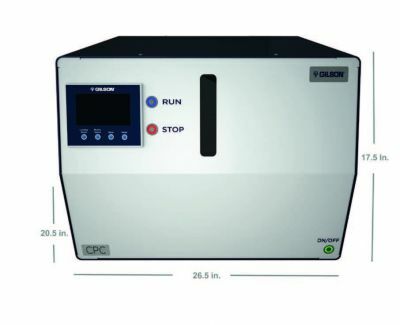 Positive pressure achieved via Gilson’s unique and innovative sealing cap design. VERITY® 4060 Single Syringe Pump enables air push from either syringes or external air sources. On-bed reservoirs allow access up to four solvents without taking up a valuable rack position. Jet Wash rinse technology with optional rinse pump allows multiple rinsing parameters depending on the applications needs. The VERITY® 4060 Single Syringe Pump is equipped with a pressure sensing module that monitors pressure and can be used to handle error conditions such as high cartridge pressure, or clogged liquid lines. 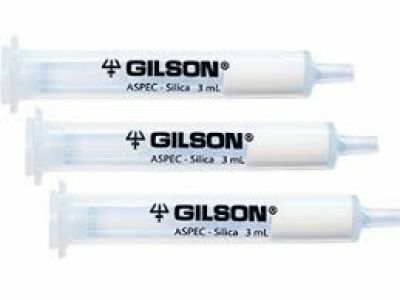 Eluted product can be fractionated by moving to different collection tubes for applications such as buffer or pH step gradients. 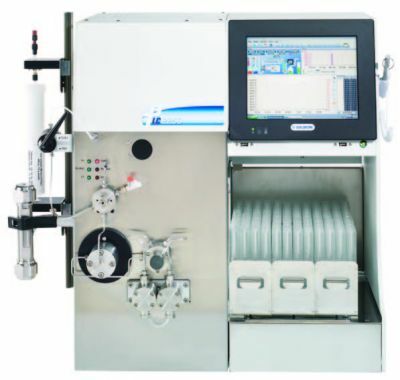 Operate in both batch and sequential mode to optimize throughput and efficiency. 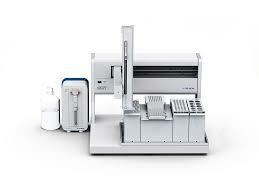 Optional GX Direct Injection Module for performing on-line injections onto HPLC or LC/MS systems. Modular design allows the use of Code 20 or Code 200 series racks.